Are you seeking a Fontana oven repair technician? Our company can provide you with experts in all oven types. Be it a regular single oven, a built-in double oven, or a microwave, expect the best service. Whenever you need help with your range and both ovens & stoves, a pro will come out in a hurry to do the required repairs. Turn to us for trusted oven service in Fontana, California. We’ve got you fully covered. We rush to assist customers in need of oven repair service. It’s not only a matter of convenience during meal preparation; it’s mainly a matter of safety. If your cooking appliances fail to perform as they should, the risks are plenty especially if this is a gas oven. Why take risks? We are only a phone call away and can send out a specialized appliance repair Fontana CA tech to fix your oven. 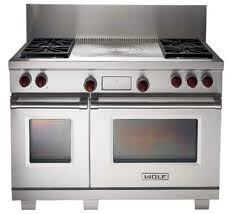 Call us for any oven and all brands. Need microwave oven repair? A tech will respond equally fast to fix microwaves as he would for any other home appliance. Microwaves are extremely useful units and some of the most popular kitchen appliances. So if you use yours plenty and has broken down, simply give us a call. A pro will come out to offer service in a timely fashion. Contact Appliance Repair Fontana today. Need range repair? We understand that many ovens are simply parts of ranges and together with the stoves, they are considered some of the most important appliances in the kitchen. So if your oven range is problematic, give us a call. Does it spark? Does it fail to heat up? A tech will replace the parts and fix its problems quickly. Do you rather search a pro with expertise in stove repair? You can still turn to us with the confidence that the pro sent to you will have the skills to troubleshoot, define, and fix all stove problems. Our company helps rapidly whether you are in need of electric or gas oven repair. 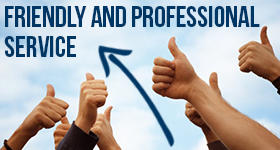 But it will also be our pleasure to assist you with maintenance service. Make an appointment at our company and let a pro routinely service your cooking appliances to spare yourself all common troubles. Be sure a new appliance is properly installed by calling us once again. We will send you an oven installation specialist at your convenience. We are the company to turn to for any and all services. Need oven repair in Fontana? Want to install stoves or ranges? Got microwave troubles? Call us.